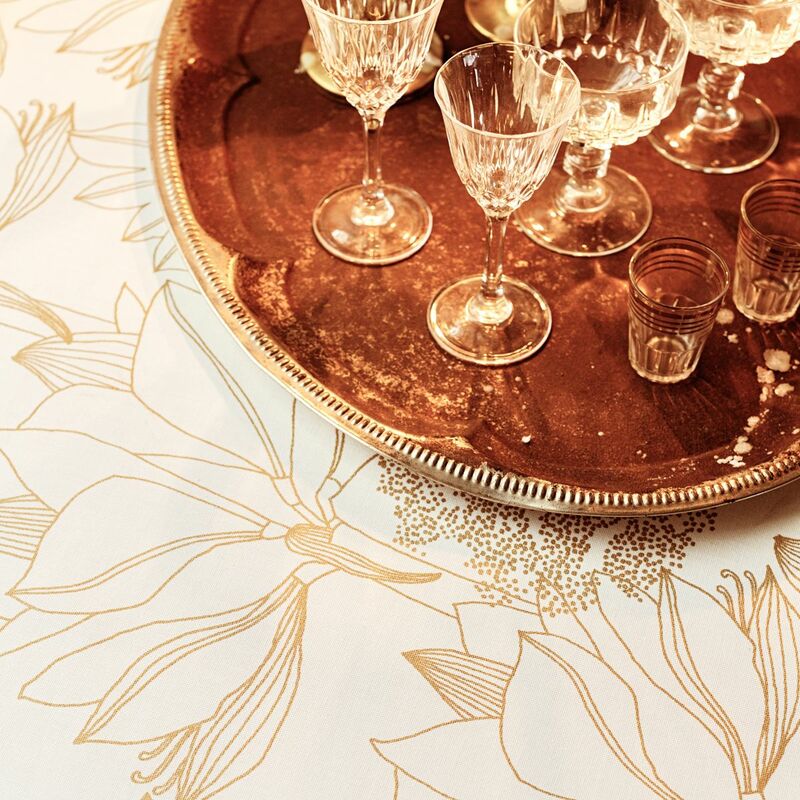 More about Finlayson Ritarinkukka Gold Tablecloth Metallic details are a timeless way to bring some shimmer to the season. 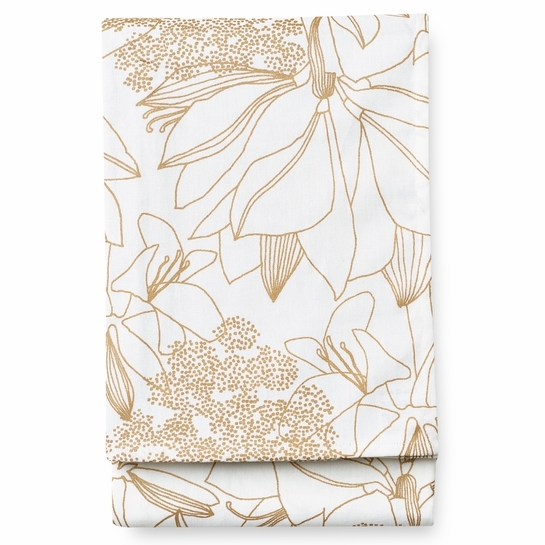 Meaning "Knight's Flower" in Finnish, Ritarinkukka is a beautiful floral pattern by designer Anu Kanervo. It's printed in sparkling gold on a 100% cotton ivory placemat which is perfect for the holiday table. Pair with some gold charger plates or candlesticks to pull the chic style together.